It has been 13yrs since i started and what a journey it has been. I can’t go without thanking a number of people. I will have to begin with the will/machado association who i began with and gave me a very good foundation to build off and all the people who were part of that. I would like to thank Murat and the Nexus academy for the past few years for keeping me in check. 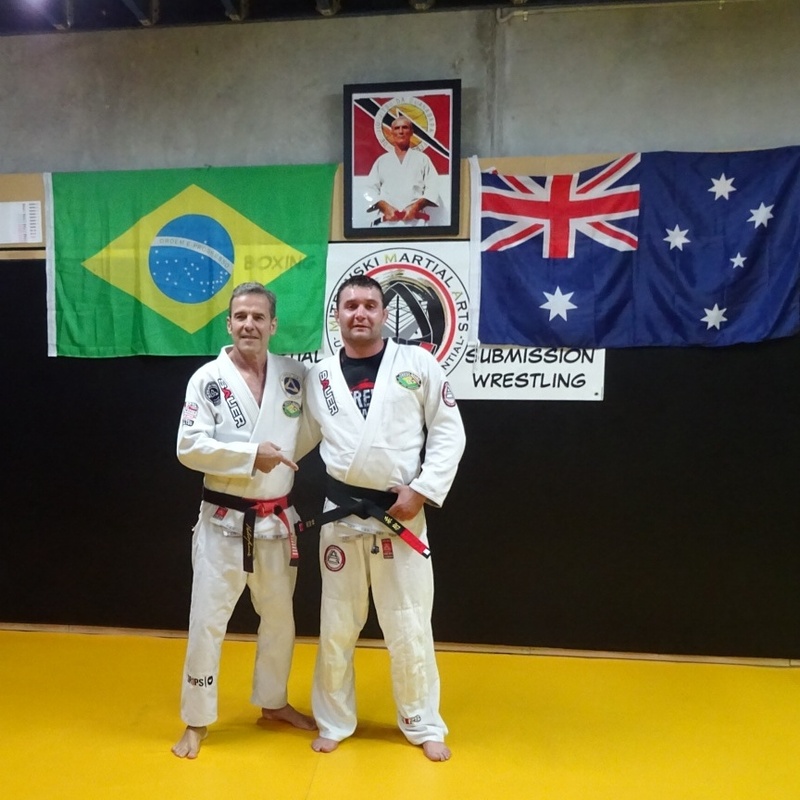 A big thankyou to Phillip Grapsas from leverage jiu jitsu academy for all your help man- THANKYOU! It will never go unappreciated. The man himself and living legend Pedro sauer for changing my jiu jitsu and sharing your knowledge, i will represent you to my best ability and always make the self defense a priority. A big thankyou to all my members over the years and especially to my long time training partner Brayden Vallance thankyou heaps my friend for being there and making it happen tonight. Lastly to my friend and coach Hakan who has been with me from the very beginning, there is nothing i can repay you with but offer you my loyalty and friendship. Do i deserve my black belt, i never say i do; have i put in the time 100%; do i have the knowledge 100%. till now is it’s not the belt that matters but the people. Jiu jitsu will bring out everyones character in the end, it’s the people along the journey that matter. I feel that this is now the beginning again and i can learn jiu jitsu now, i feel free!! !